﻿The second volume of Doyle’s trilogy of memoirs that began with Floating Islands (2015), The Drifting Archipelago covers his life from his arrival on Vancouver Island in 1968 to the demise of his third marriage at the end of the century. In it, Doyle discusses his progress as a poet and his at times uneasy relationship with the Canadian literary scene. In the book’s last line, he mentions “the exhilaration of being alone.” Much of the preceding volume deals with Doyle’s complex relationships with others, and his adventures as a professor, activist, husband, and father. Sounds, textures, taswtes colours trajectories and intimations are gathered with a poet’s intelligence to convey a vivid and illuminating record of his life and times, as the author drifts from island to island. The third volume in the series of memoirs, Cutting Knots, sent to the publisher by Mike Doyle a week before his death, will be forthcoming. The Drifting Archipelago offers a vivid and lyrical presentation of a full and extraordinary life. 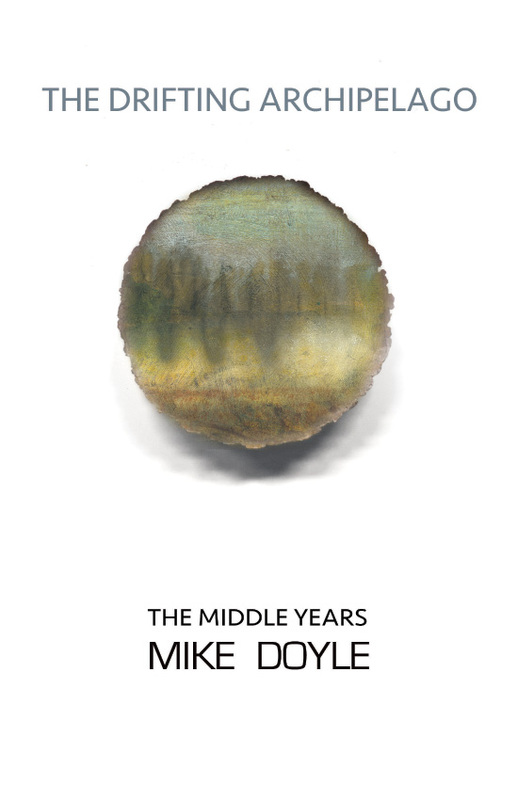 ﻿Mike Doyle’s other work includes William Carlos Williams and the American Poem (1982), Richard Aldington: A Biography (1989), Paper Trombones (2007) and its follow-ups Softwood Trumpets (2012) and Riding the Pig (2014), a journal of his life as a poet in Canada, and Intimate Absences (1993), a “Selected Poems” from work up to that date. Ekstasis Editions published his Collected Poems 1951-2009 in 2010. He also published critical essays on Williams, Wallace Stevens, H.D., Irving Layton, Al Purdy and others. He received a UNESCO Creative Artist’s Fellowship, an American Council of Learned Societies Fellowship, and a Jessie Mackay (PEN) Award for Poetry. He wrote his book on Williams while a visiting Research Fellow of American Studies at Yale University. Doyle lived in Victoria for over forty years and was a Canadian citizen of long standing. He passed away on December 28th, 2016.